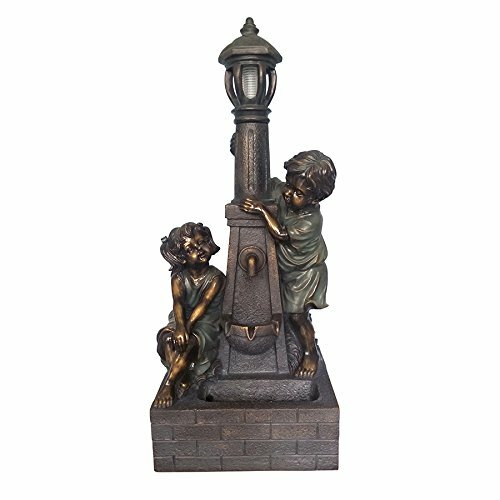 36.02" Kids Lamp Post Fountain Little Boy and Girl Resin Statue Includes Pump with Adjustable Water Flow & LED Light in the Top Outdoor Decor | Fountain City Art Ctr. If you have any questions about this product by Garden Treasures, contact us by completing and submitting the form below. If you are looking for a specif part number, please include it with your message.